Announced in a post to Commonwealth Bank's official Twitter account, the new service arrives about a month after the institution in December promised support would roll out in January. The post is accompanied by a video pointing to the many tweets and customer messages that asked the bank to integrate Apple Pay. "Thanks for all your gentle prompts. We read them all. Now you #CanApplePay," the bank's tweet reads. Apple's regional Apple Pay webpage confirms Commonwealth as a supported provider. 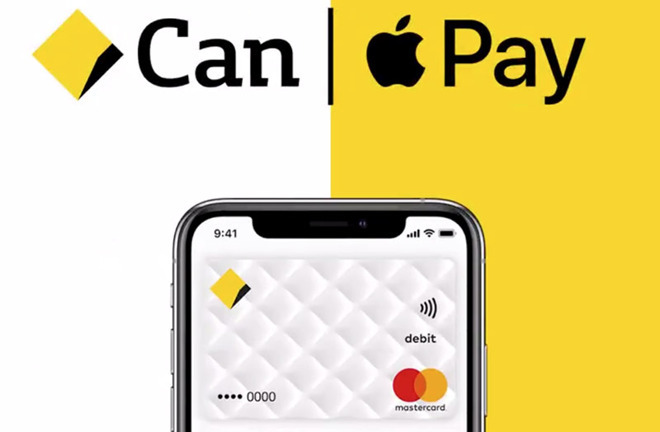 Commonwealth is the second of Australia's "big four" banks to offer support for Apple Pay following a contentious and collaborative resistance campaign that sought a larger slice of the digital wallet pie. In 2016, Commonwealth Bank, National Australia Bank and Westpac Banking Corp, along with Bendigo and Adelaide Bank, filed a complaint with the Australian Competition and Consumer Commission requesting authorization to collectively negotiate access to Apple Pay NFC technology. Initially seeking a determination that would force Apple to integrate third-party mobile payments software with iPhone hardware, the banks added contingencies that would allow the banks access to iPhone's NFC controller. For its part, the banking bloc argued the stipulations would foster increased competition and consumer choice, as well as accelerated innovation and investment in the digital wallet space. The banks requested permission to boycott services like Apple Pay if terms of certain bargaining proposals were not met, but the gambit fell flat in 2017 when the ACCC denied authorization to collectively negotiate. Australia and New Zealand banking group, better known as ANZ, was not part of the attempt at forced negotiations and became the first "big four" bank to offer Apple Pay in 2016.